This title sounds like an exaggeration, doesn’t it? Sadly, it isn’t. You see, twin pregnancies are often labeled as “high risk.” Considering that twin births are up 78% since 1980, it’s incredibly surprising that every twin mom would need to be treated this way. I felt paralyzed by the idea that I couldn’t have the birth I wanted. I checked with a local mom’s group on Facebook and asked if anyone had suggestions about care providers who were more understanding. I was referred to a doctor 2 hours from my home. He looked amazing. He specialized in high risk perinatology, but also believed in home births, had a group of midwives in his practice, and he took new patients at almost any point in their pregnancy. My husband and I prayed and sat on the decision for a few days. I had some input from family members who were concerned for our safety and thought we might be better off sticking to the original plan. Something told us the original plan was not right. Ultimately, I made the appointments and transferred my records the 120 miles that were necessary for me to receive appropriate care. If an emergency occurred, I’d go to the local hospital and be no worse for the wear. After my first appointment with my new midwives and doctor, a wave of relief rushed over me. There was no pressure. There was no criteria. There were no stipulations. The doctor effectively told me that although the literature categorized me as “high risk” – I was as normal as could be. He assured me – there is nothing abnormal about having two babies. I continued to drive the 2 hours each way every single week, by myself, until the end of my pregnancy. The only time my husband was ever able to go with me was my 36 week appointment. It was not easy. Carrying two babies, I needed a nap after unloading the dishwasher. Driving 4 hours in one day (even longer if you include 18 stops to the restroom) was incredibly taxing. I can tell you now that it was worth every ounce of effort. I had the natural birth I wanted. 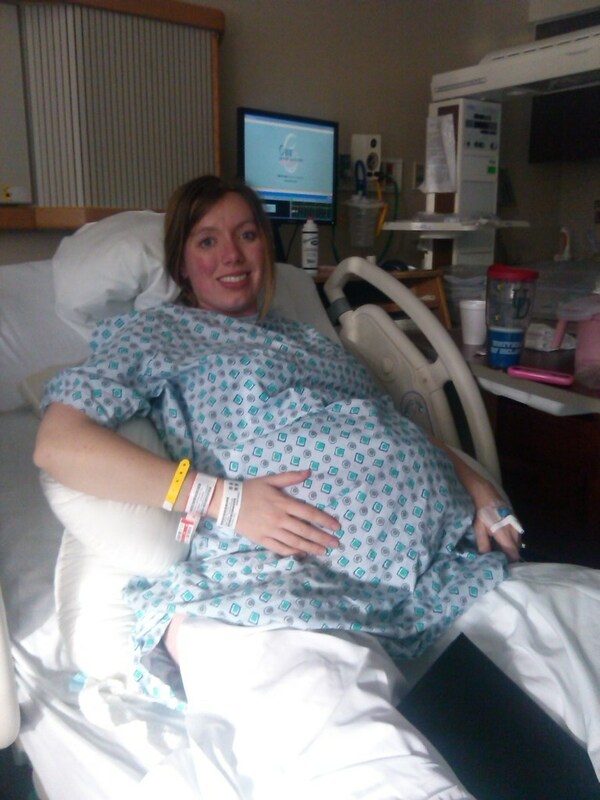 I did not need to have an epidural, and I gave birth in a regular hospital room. I was treated like anyone else. I was able to get off the monitor and walk around. I was able to eat. I was not micromanaged. My doula was present. The doctor let my husband deliver my babies and he will forever be the first person to touch them as they entered this world. I had 2.5 hours of skin to skin with my infants before anyone asked to touch them. It was a dream experience, predicated on the effort we put forth and the risks we took to make it happen. 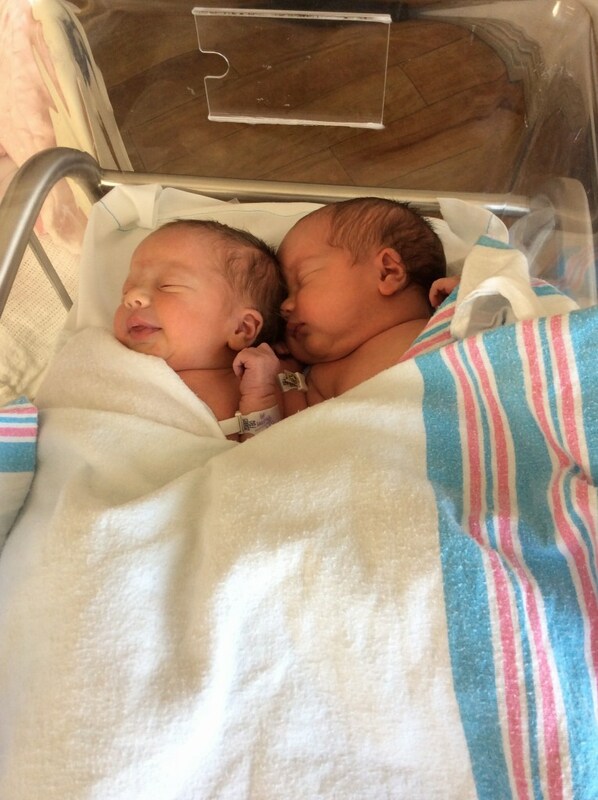 I have two healthy babies, yes – that is all that matters. But, birth matters too. We hear people say these things, and it almost negates the fact that a woman’s experience is important. My first birth was not just my babies’ birthday – it was an experience that defined my life and my future. I know things don’t always go as planned in these scenarios, but we shouldn’t be told that we can’t before we even start. We shouldn’t be generalized into criteria that don’t make sense. There is nothing wrong with our bodies – until it’s wrong, and then we can address it. Until we all acknowledge that birth matters – we may need to keep going the distance to reach our goals. Twin A, by the way, was smaller than Twin B.